Most techniques for webpage structure and design mining are based on code analysis and are detached from a human user’s perception of the web user interface (WUI). 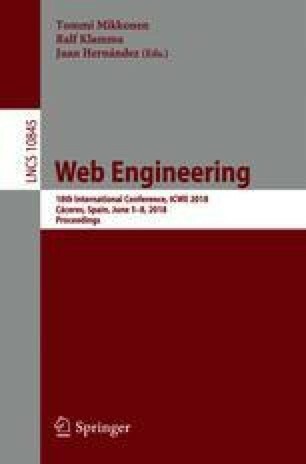 Our paper is dedicated to approaches that instead focus on analysis of webpage’s visual representation – the way it is rendered in different browsers and environments and delivered to the end user. Specifically, we describe the software tool that we built, which takes a WUI screenshot and produces structured and machine-readable representation (JSON) of interface elements as made out by a human user. The implementation is based on OpenCV (image recognition functions), dlib (trained detector for the elements’ classification), and Tesseract (label and content text recognition). To demonstrate feasibility of the approach, we describe application of our analyzer tool to auto-calculate certain measures for a WUI and to predict users’ subjective impressions. Particularly, we assess UI visual complexity, which is known to significantly influence both cognitive and affective aspects of interaction. The results suggest the analyzer’s output is mostly characteristic of the users’ visual perception and can be useful for auto-assessing and comparing WUIs. M. Bakaev and S. Heil—Both authors contributed equally to the work.